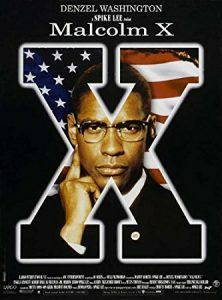 A biographical epic of one of the major leaders of the Civil Rights Movements, Malcolm X, starting from his humble beginnings as Malcolm Little, all the way to his assassination on Feb. 21, 1965. Rotten Tomatoes Critic Consensus: Anchored by a powerful performance from Denzel Washington, Spike Lee’s biopic of the legendary civil rights leader brings his autobiography to life with an epic sweep and a nuanced message. The New York Times reviewed Malcolm X on it’s complexity and Lee’s direction. Spike Lee removed all mention of Louis Farrakhan from the film after receiving specific, direct threats from him. The names of the three assassins charged with Malcolm X’s murder are listed in the final credits. Brother Baines, who leads Malcolm X to the Nation of Islam, is a fictional character. In his autobiography, Malcolm X says he was led to Nation of Islam through letters from his sister. Malcolm X will forever go down in history as one of the most influential leaders of the civil rights movement and black America. A follower of black nationalism, Malcolm X was a polarizing figure who both energized and divided black Americans while frightening and alienating many white Americans. Much of Malcolm’s 13 years of leadership and activism, have garnered much criticism then and even now. Many saw and still see him as more of a flawed figure, a fanatic, or a racist spewing hatred. Through this film, we delve into the complex history and character of one of the men who would make a monumental impact for race relations in America. Most of the criticism of Malcolm’s activism and ideology stems from his membership in the Nation of Islam (NOI). The NOI is an Islamic sect that promotes black supremacy and self-reliance, separations of white and black Americans, and ironically, largely rejected the civil rights movement due to its emphasis on integration. The religion itself is founded on the idea that blacks are not only the superior race, but that all whites are devils. While it wasn’t highly emphasized in the film, Malcolm X was a strong proponent of black Americans taking up arms to get and defend their civil rights, (this is where the famous, “By any means necessary” quote gets it origin). While the real Malcolm X never gave this exact speech, parts of it come from his famous “The Ballot or the Bullet” which ironically was after his split from the NOI. This scene sets up the ideology that Malcolm X had through out most of his activism and puts it into the context of the day. Showing the footage of Rodney King which occurred less than two years after the movie’s release helped audiences understand the frustration and anger that fueled Malcolm. Canby, Vincent. The New York Times. 18 November 1992. Web Article. 14 November 2016. IMDb. Malcolm X (1992). 2016. Web Article. 14 November 2016. Largo International N.V. Malcolm X Poster. Advertisement. Largo International N.V. 1992. Web. Rotten Tomatoes – Fandango. Malcolm X (1992). 2016. Web Article. 14 November 2016.